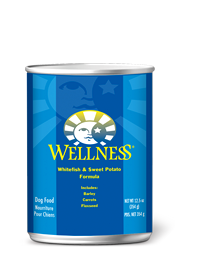 Wellness® Whitefish & Sweet Potato Recipe is a tasty, alternative protein source, good for food sensitive dogs. 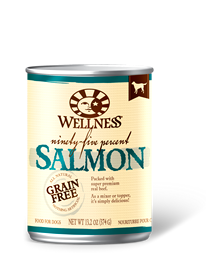 It helps balance Omega 6 acids, for a dog’s healthy skin and coat and affects the development of the nervous system. 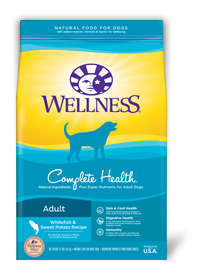 Wellness® Whitefish & Sweet Potato® Formula Dog Food is formulated to meet the nutritional levels established by the AAFCO Dog Food Nutrient Profile for growth and maintenance.